I've always loved a good surprise. One of my favorite memories of my mom involves her introducing me to Kinder Surprise and the toy inside this delicious treat. Now that I'm a mom myself, it's my turn to introduce a different but just-as-tasty surprise to my own kids. Since I've introduced them to Kinder Joy, it has now become a must-buy item every time we hit the grocery stores. Kinder Joy is definitely an exciting treat for your kids. It comes in an egg-shaped form; if you open it in half, one side contains a treat that has two delicious cream layers (milky cream & cocoa cream) with two crispy wafer balls, and a plastic spoon for controlled serving. The other half has an exciting toy for the kids. Each toy in the Kinder Joy assortment can be easily assembled by kids. This is great for their motor skills and imagination! 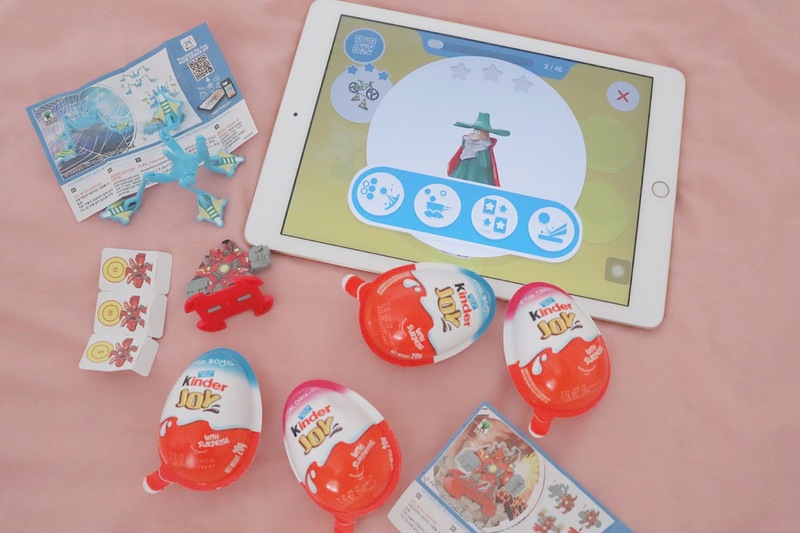 Here’s the best part: Kinder Joy now has a fun, creative and educational app that you and your kids can also play along with your Kinder Joy toys! It’s called the Magic Kinder App. It has amazing stuff where your kids can draw & paint, read stories, watch videos, and play educational games. For every Kinder Joy toy, you get a QR code that you can scan with the app: the Magic Kinder App will store it in your ‘Surprisery’ section. My fellow parents will be happy to know that the Magic Kinder App, is SAFE. There are no pop-up advertisements, in-app purchases or requirements to share personal information about your children. There are loads of fun things in the app that help unleash your kids’ creativity, which they will surely love! I’m totally in love with this as a mom myself! With Kinder Joy, I’m giving them a yummy treat and they’re learning at the same time. You can download the app for FREE on Apple Store and Google Play! If grocery shopping is also one of your favorite bonding moments with your children, go grab a Kinder Joy or two and enjoy more happy moments together! For more information, visit the Kinder Joy Facebook page. Share your kid's reaction when opening their Kinder Joy egg by using #kinderjoyphilippines #worldofkj on social media!